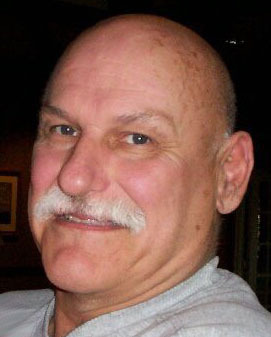 Roger D. Cote, 73, of Tiverton, husband of Muriel P. (Benoit) Cote, passed away Thursday, April 11, 2019. ​A US Marine Veteran of the Vietnam War, he was employed by Allied Floor Covering for 55 years. A lifetime member of the Tiverton Rod and Gun Club, he was an avid reader and enjoyed gambling, traveling and watching the news. ​Besides his wife of 30 years, he leaves two children, Nicholas Pacheco of Coventry, RI and Lauren Helger and her husband Richard of Tiverton; three grandchildren, Richard, Kayla and Ryan; four sisters, Cecile DeMeneze, Phyllis Breese, Claudette Osborn and Jeanne Zook and many nieces and nephews. He was the brother of the late Ernest Cote and the son of the late Ernest and Eva (Pineau) Cote. ​A visitation will be held Saturday, April 20th from 2:00 PM to 4:00 PM at the Auclair Funeral Home, 690 So. Main St., Fall River. Online guest book at AuclairFuneralHome.com.